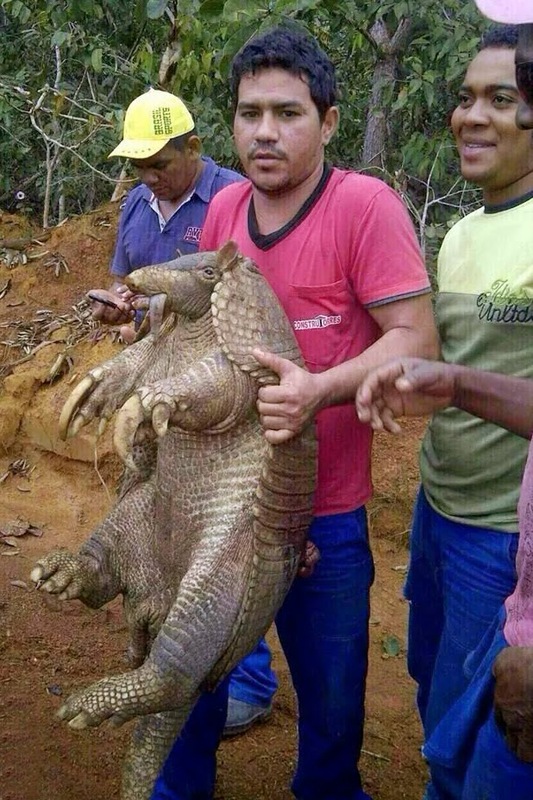 The giant armadillo, also known as tatuaçu or armadillo-cart, can be found in most of South America, from Venezuela and Guyana to Argentina, beyond the Central Plateau of Brazil. The animal can measure more than 1 meter long, 50 centimeters apart tail. According to information gathered by Tell City, the source of the photos was not confirmed. The uniforms worn by workers who appear in the photos are not of the company and the vegetation, which also appears in the images, are not characteristics of the region where the works are being performed in the city of Ibiassucê. Fire up the G2G BBQ Grill! Get your Chili Sauce ready DD, i'll bring the beer! Re: Look at the size of that! , i've eaten off worse. 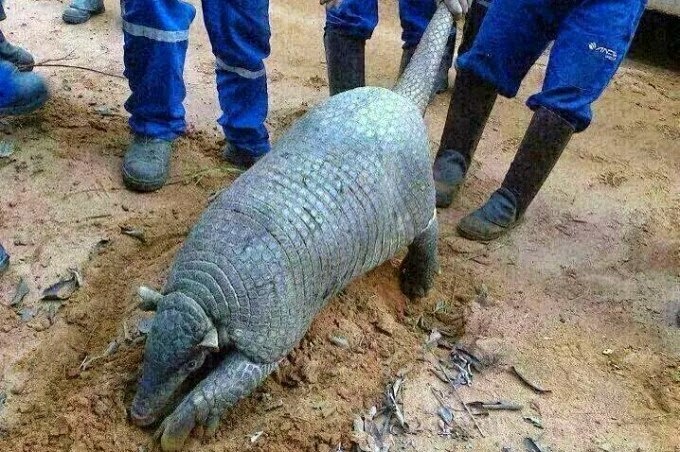 Armadillo = Opossum on the half shell.